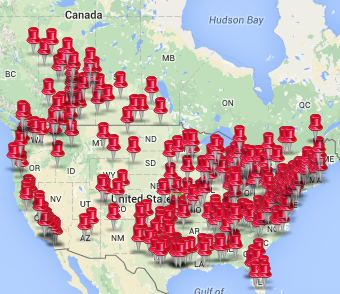 Our paintriots have been busy this week. 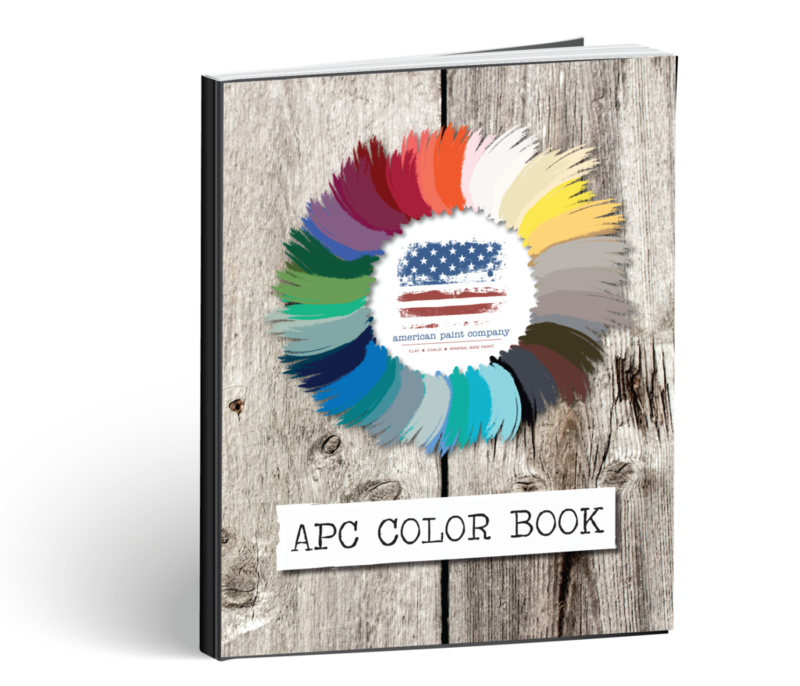 Check out all the beautiful pieces that they’ve done! 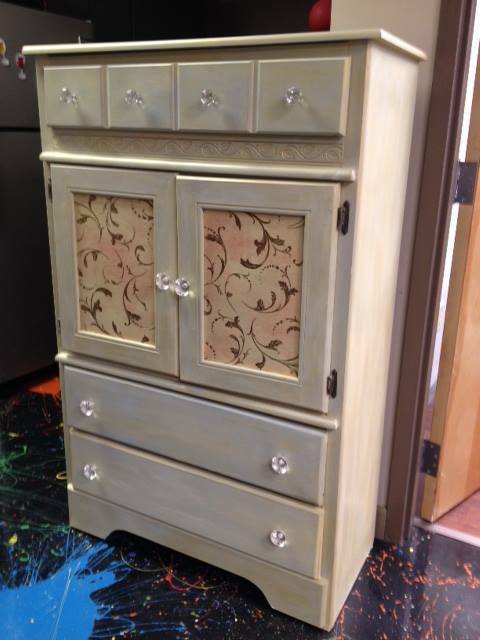 Junque in My Trunk painted this dresser in Dollar Bill and Home Plate with Clear Wax and Copper Mica. 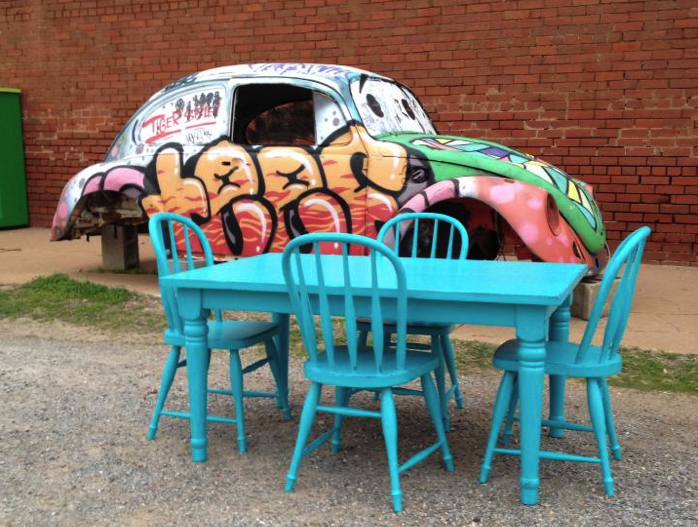 The Old Store painted this kids table and chair set in the APC color, Shoreline. 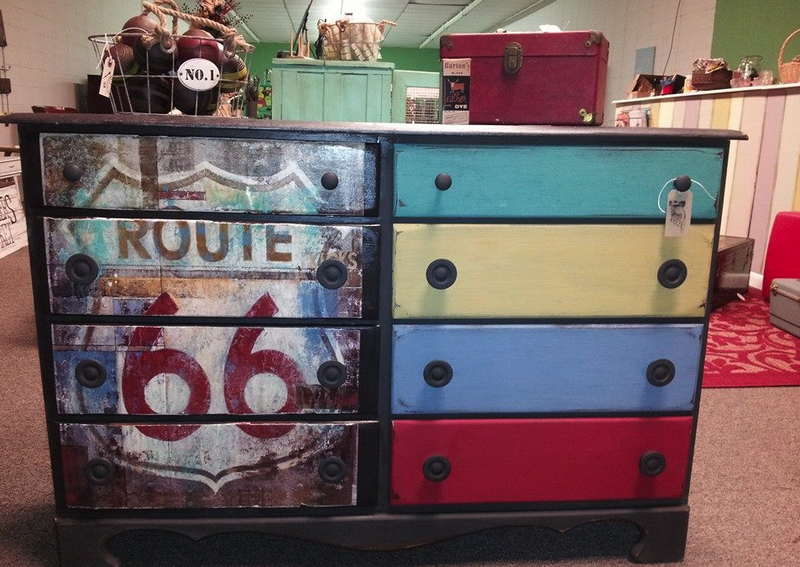 Tanglefoot and Company decoupaged this dresser and painted it in Lincoln’s Hat, Beach Glass, Amber Waves of Grain, Blue Jeans, and Fireworks Red with Clear Wax. 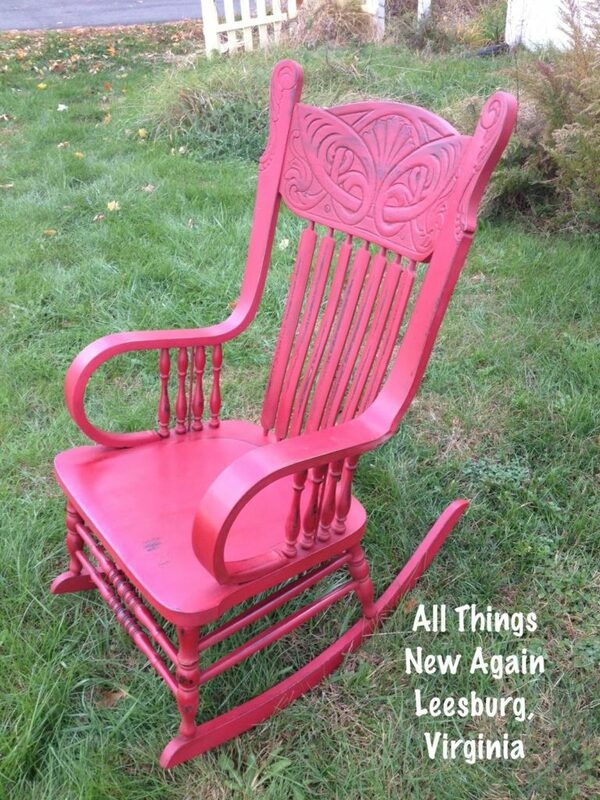 All Things New Again painted this rocker with Fireworks Red and finished it in Dark Wax with American Grit. 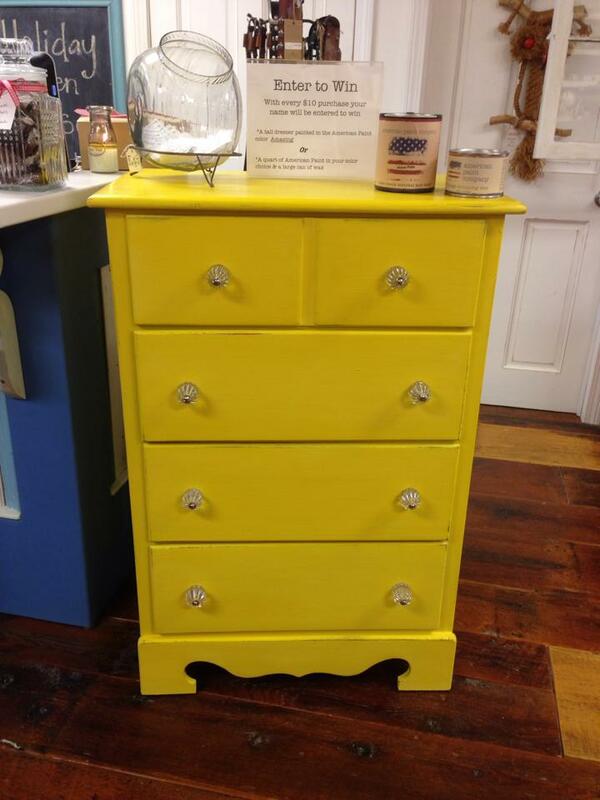 Bungalow 47 used the APC color, A-maize-ing, on this cute little dresser. 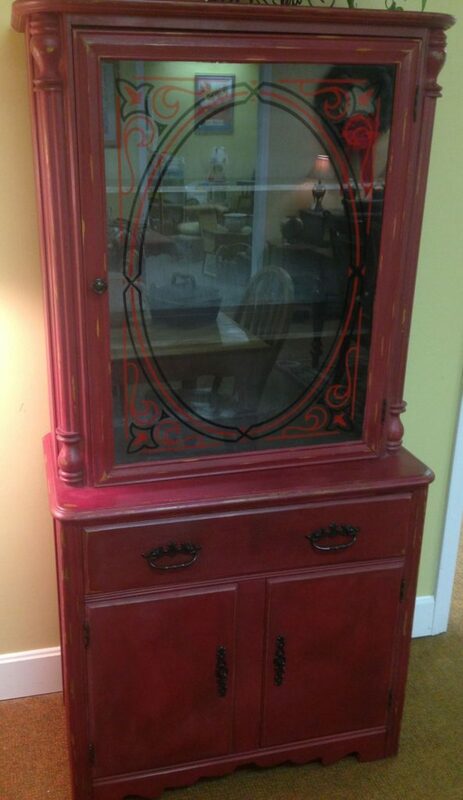 Everyone is seeing red this week and so was House of Covenant Hardware Inc in Kentucky who painted this cabinet in Fireworks Red with Dark Wax. 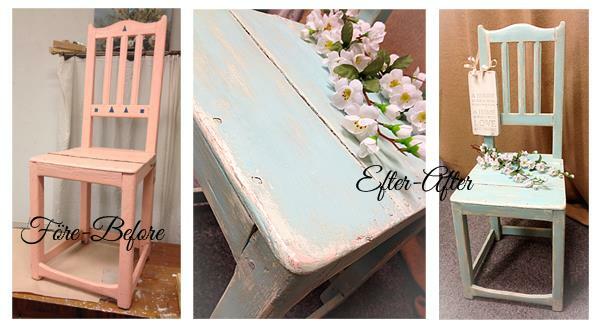 Swea Hantverk painted this cute little chair with layers of Navajo White, Liberty and Surfboard. 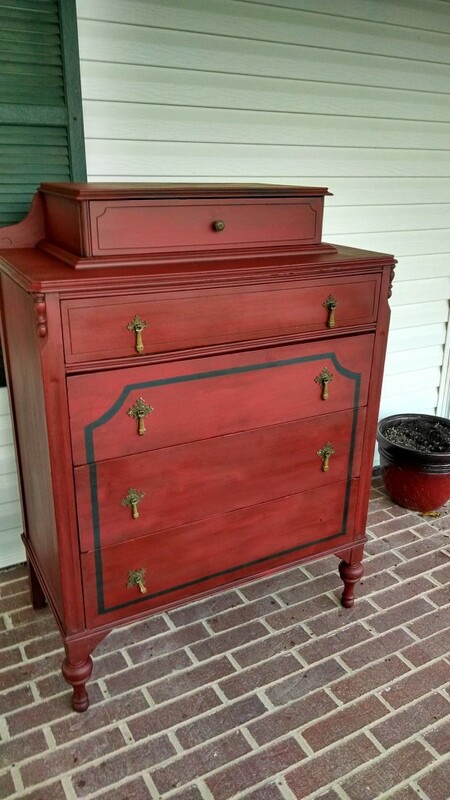 Perennial Designs painted this dresser with Fireworks Red, Born on the 4th and Dark Wax. 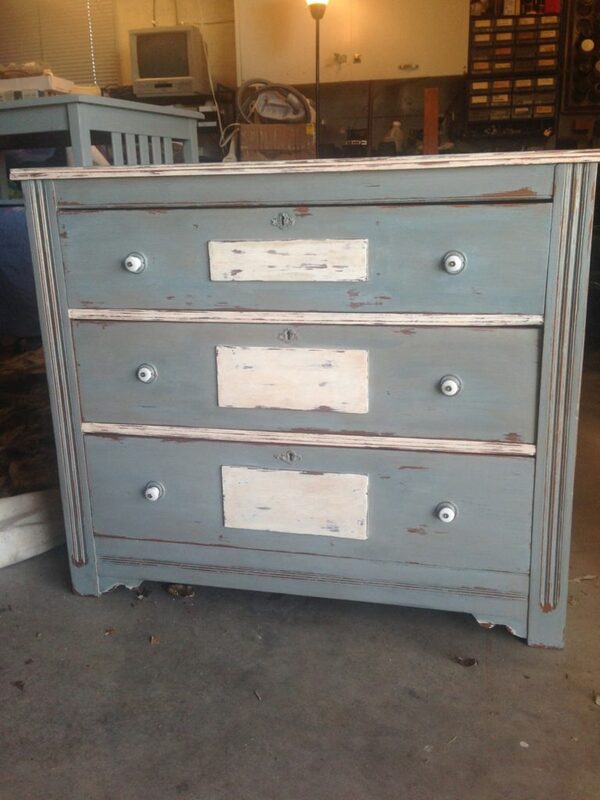 The Painters Roost painted this dresser in Born on the 4th first and then a Home Plate wash with Clear Wax and Gold Mica. 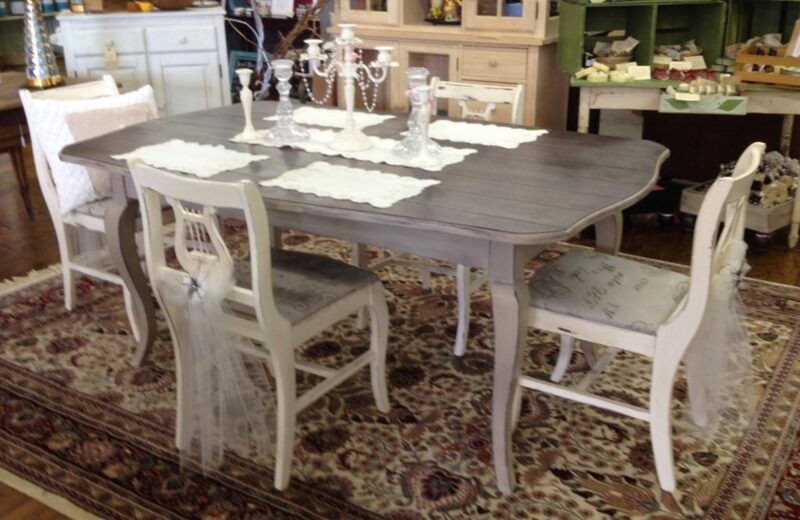 This harvest table and chairs was painted with Wild horses, Rushmore and Home Plate, and finished in Clear and Dark Wax by Artemis and the Scavengers.